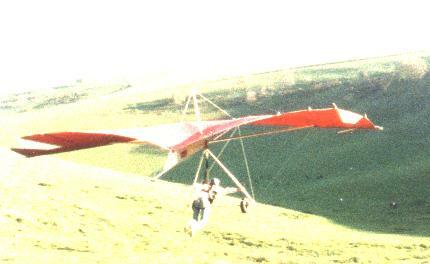 I first learnt to hangglide in Steyning Bowl on the South Downs of England in 1987. Over a period of 4 months of carrying a heavy 'Stubby' glider back up the 35m hill for a very quick sled ride down, I have to thank Instructor Eddie Bilious for changing my life. 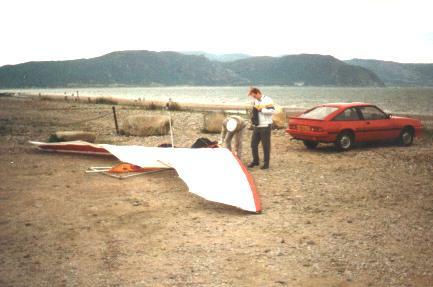 I first soared in August 1987 at the Gt. Orme's Head in North Wales and the bug soon bit. I continued my flying on the South Downs, the Peak District and in North Wales before moving to the flatlands of Holland in 1990. Thereafter together with Evert Wessels I helped start up the Skyline PG and HG (Winch) Club at Bruinehaar in the province of Twente near the german border where I still do most of my flying.